What I have been witnessing this last week. Firstly, I have organised most of the footage to view systematically and I have been busy analysing the BRUV footage. I usually start each video analysis by documenting the sea conditions and abiotic factors (mostly physical ones rather than biological) of the day the BRUV was deployed. Most importantly I separate the different drop-sites, also called stations, from one another. The different stations are spread around Dyer Island and Geyser Rock, about 20 minutes south-east of the Kleinbaai harbour. The various sites are chosen by the difference in living habitats of elasmobranchs. I am looking for a difference in the elasmobranch presence in terms of diversity and abundance. This is assessed by analysing sites with kelp, that function as coverage, thus protection from predators as bigger sharks, and sites without coverage as sandy bottoms. For these reasons, I expect to see is an higher frequency of smaller shark species appearing in the kelp covered habitats. There are other factors that might influence the presence of the sharks in an area. Some species may prefer deeper waters and therefore the water depth can affect the results on the study. 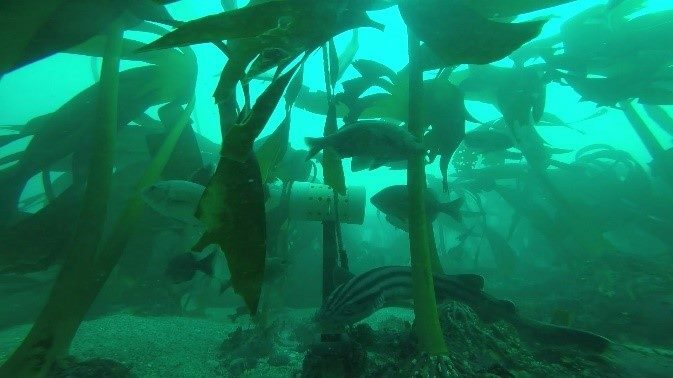 Visibility might also be a contributing factor, for the same reason as kelp coverage. However, this is not expected since elasmobranchs often use other senses to find a prey. A good example is their ability of electroreception, which allow them to detect tiny muscle contractions of the muscles of their prey. 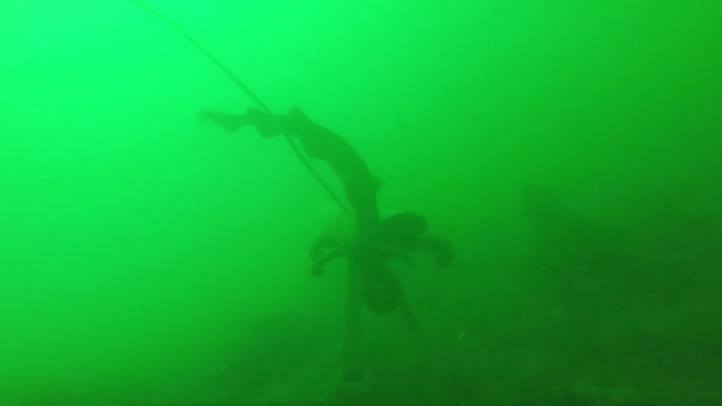 The poor visibility often found in coastal waters is difficult to overcome in many of the videos, making a one hour-film a multiple hour analysis project. The cameras used on the BRUVS are GoPro cameras recording in 1080p and 60 fps. However, due to a high number of particles in the water, the high resolution is not always very helpful. Another difficulty that I found this week is that the species Haploblepharus pictus (dark shyshark) and Haploblepharus edwardsii (puffadder shyshark), are extremely similar in terms of size, shape and colouration, which makes it even harder to distinguish them from one another. Working with BRUVs is a bit tricky sometimes but also incredibly fun when you get to witness both inter- and intraspecific interactions. By watching the animals in their natural habitat and in relatively undisturbed environment is really rewarding. Octopuses often show up in the frame to get they share of the smell from the bait canister. The fights between the very curious pyjama shark and an octopus is a rare and exciting event to watch. So far, by watching the underwater footage so far, the most abundant species tends to be the puffadder shyshark and leopard catshark. Other species that has been spotted are the dark shyshark and the pyjama catshark, but also a quick swim-by by a common smooth-hound, larger than the others and usually spends most of its time in deeper waters. 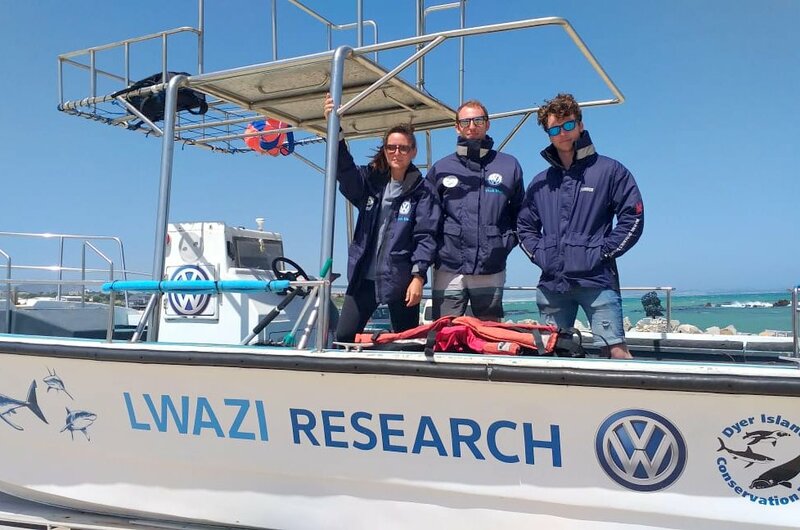 Next week it is planned for a day of deploying new BRUVs at sea on the Marine Dynamics research vessel called Lwazi with the interns Valerio and Alina. 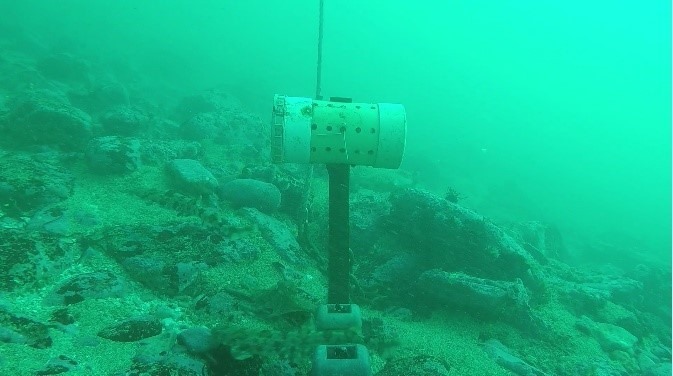 As I love being out at sea, I really look forward to deploying new BRUVS to get more data for my project.